Visual Productions has created a special ImageCue personality file and a show file for controlling the ImageCue media server. When transferring these files to Cuety, you are able to control your ImageCue media server or combine control of your lighting rig and the ImageCue. When using Cuety on your iPad, you have all ImageCue controls at your fingertips. Research showed that Cuety is an excellent solution for controlling ImageCue. Cuety LPU-2 hardware platform, which is similar to LPU-1. It can be controlled by Cuety and/or Cuety Remote or by 3rd party control systems using the network protocols TCP, UDP or OSC. ImageCue is a compact, easy to use image server that provides control of full HD stills and videos with only 12 DMX channels. It comes with a library of 255 images and users can add up to 65.000 image and video files. ImageCue features overlay of PNG images, full RGB mixing control of foreground and background, output dimming and adjustable fade timing. Content is output on HDMI or DVI with the supplied adapter. Visual Productions has created the cue lists which contain the DMX values that control the various functions and selections within the ImageCue media server. These are activated using the playbacks. 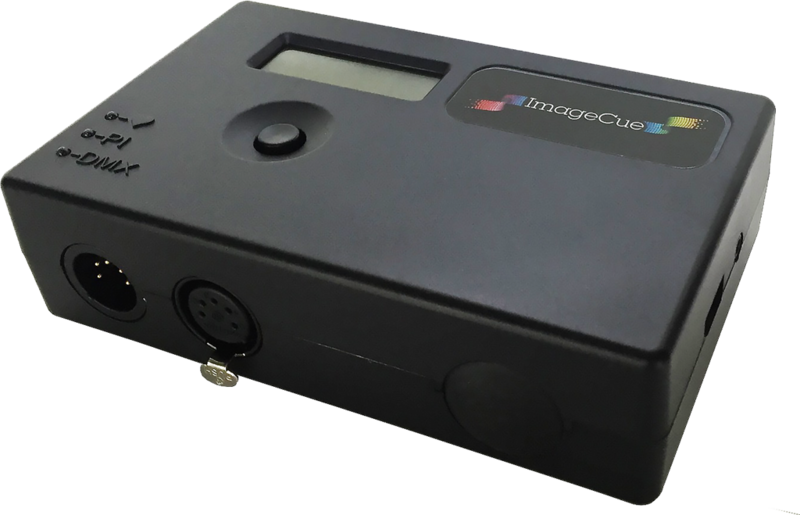 When operating ImageCue with Cuety, intensity playbacks can be controlled using the intensity fader. Playback name and actual cue (status) are indicated on the playback button. The available playbacks and their functions in the document at the end of this post. Once personality and show files have been imported in Cuety using iTunes, you are able to control ImageCue with the Cuety and Cuety Remote for iPhone or iPad. 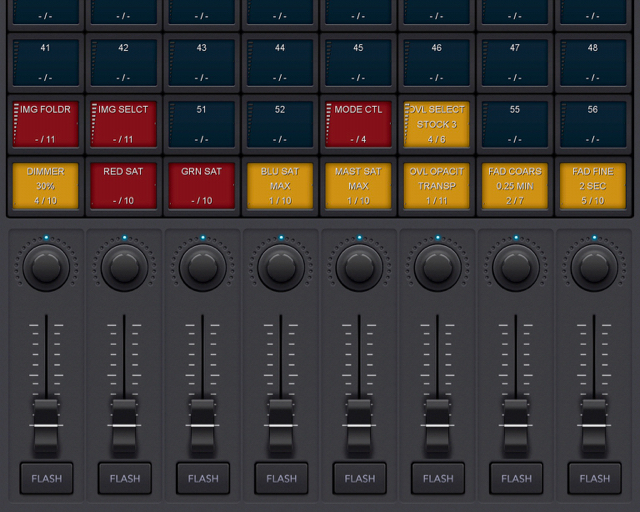 When using Cuety, remember the intensity faders may be used when the blue bar is placed on the lower playbacks bank. Also, for releasing playbacks, remember to press and hold the playback you want to release. Since Cuety Remote does not feature intensity faders, we have mapped a series of intensities as cues in the playbacks. When using an LPU-2, you are able to control Cuety with 3rd party equipment or to create your own user interface. Various programs are available that can send OSC or UDP commands across the network, thus activating functions of Cuety. Examples are TouchOSC by hexler.net and Lemur by Liine. Cuety and Cuety Remote are free downloads, available from the Apple App Store. Cuety is also available in macOS, Windows and Linux versions for programming on desktop or notebook computers. Since Cuety was developed as an iPad app, due to iOS standards, minimum vertical resolution for using Cuety on a computer is 1080 pixels. Following files are available for free, please contact the Visual Productions team if you would like to use these files.